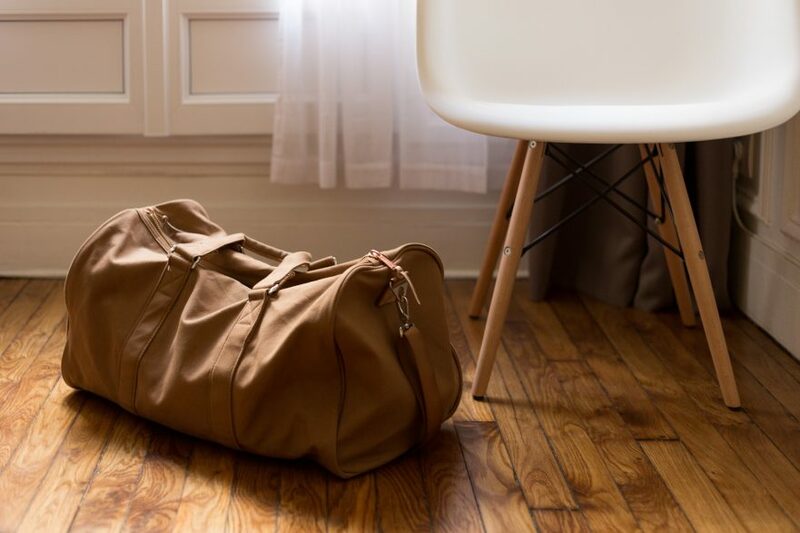 So your bags are packed and you are ready to travel with your kids? Yay! Now, before you go to bed, do these 8 mini tasks that’ll make your morning travel less stressful. On travel morning, there’s no time to hem and haw over what to wear. Decide your outfits the night before so you won’t waste precious time in the morning. Do the same for your kids’ outfits and you’ll be out the door on schedule. Decide on travel morning breakfast. We usually opt for something simple and filling like oatmeal with fruit, or PBJ. We always travel with a small lunch cooler of snacks for the whole family, so that we don’t have to resort to eating airport junk food. I usually make a run to Trader Joe’s the day before to stock up on healthy snacks, and wash and prep any fruit and veggies. Some of our family’s favorite travel snacks are blueberries, bananas, sugar snap peas, Trader Joe’s Just-A-Handful trail mix packets, freeze-dried fruit, and granola bars. If you are driving to the airport, be sure to factor in enough time for rush hour travel. Now is also the time to look into the airport’s long-term parking options by visiting the airport’s website. For trips lasting over a week, we usually skip driving ourselves and opt for a shuttle or Uber/Lyft ride because it’s less expensive than paying for airport parking. We like to leave the stroller and car seat next to the packed suitcases by the door so we don’t forget anything. It’s no fun remembering that you’ve left the stroller at home when you are halfway to the airport. Do you require a nursing room or baby changing facilities at the airport? If so, do a quick search on the airport’s website now to find a nursing room and baby-friendly restrooms. Not all airports have such facilities, and some may only have them in certain terminals. A bit of research now will save you from scrambling around on travel day. Keep your eyes peeled for any travel-disrupting storms. This includes icy roads that’ll make driving tricky, in which case you may wish to consider using public transport to get to the airport. If you are unlucky enough to find yourself traveling on a day when there’s an approaching storm, check the airport’s website for flight cancellations. Don’t forget to also check out your destination’s weather forecast, so you can make appropriate backup plans if necessary. After a long day traveling with a tired, cranky kid, all I want to do after is wash up, have a meal and rest. This is why I usually inform my traveling partner or anyone meeting us beforehand that we won’t be able to join them for a long meal or outing. This way, we don’t inadvertently hurt anyone’s feelings by declining their offers of hospitality. If you are traveling with your spouse, it also helps to discuss what they want to do upon arrival at the destination so that you can find workarounds. For example, if the first thing your spouse wants to do upon arrival is to change and jump into the hotel pool, ask them if they could help feed and change the kid first. This way, everyone gets to enjoy their vacation. A travel game plan pulls together important details like when to leave the house, what to eat when you arrive, and who does what on travel days. For example, when I travel with my husband, he’s responsible for installing the car seat in the Uber, while I hang on to our toddler and keep an eye on our bags. Divide and conquer is the key to success here. And because we’ve talked through our game plan the night before, on travel morning, there’s no need to tell each other what to do; we simply perform our assigned tasks. When we talk through our game plan, we also assign an adult to be the family’s Passport Guardian, aka the person who will safeguard everyone’s traveling papers. The Guardian’s job is to manage multiple boarding passes and IDs when going through security and customs, and safeguarding it throughout the trip, securing it in the hotel safe, etc. So there you have it, 8 things you can do before your trip to reduce travel day stress! I hope you found these tips useful! Bon voyage!